While raising her hips, Nicole Lund simultaneously uses a foam roller for her calves at her Spokane home. After training for months, Nicole Lund's first marathon went swimmingly. "I liked it so much, I had such a great experience — there was a chance to do another marathon six weeks later," Lund says. And that's where things got brutal. She was already a little burned out. She still hadn't fully recovered before she heard the pistol fired on her second 26.2-mile bout. That, it turned out, was a big mistake. By the end of it, she'd done some serious damage to her iliotibial or IT band. "That took five to six months to fully recover, to where I knew I could go out and run and not have pain," Lund says. Today, after a little more than a decade, Lund has 17 marathons under her belt, including one ultramarathon and four Ironman triathlons. And she's in training for another. She knows, perhaps more than most, that success as an athlete has as much to do as what happens in the spaces in between workouts as in the workouts themselves. In the following pages, Lund and other local experts offer up advice for serious, and not-so-serious athletes to help avoid injury and maximize fitness. "I think in general the word 'recovery' itself tends to be misleading," says Ryan Hite, a physical therapist at Spokane's U-District Physical Therapy. Hite argues that recovery actually begins before the workout does. That means going into the workout properly fed. "If you have the right nutrition on board, it sets you up better," Hite says. "There's destruction that's about to occur, but you're not behind the 8-ball." It's important to have the proper mindset regarding food, however. "Eat to train," Hite says, knowing that's a bit of a physical therapy cliche. "Don't train to eat." In other words, don't use the fact that you exercised as an excuse to cram more Cheetos and Cinnabons down your gullet. Besides, a full hour of, say, biking will often hardly burn enough calories for a single Costco muffin. Instead, continue to focus on eating a nutritious and balanced diet. Some athletes find a strict food regimen helps them. Lund doesn't eat gluten. She avoids dairy. She tries to not eat sugar, which studies have linked to inflammation in joints. "Being an older endurance athlete. I want to make sure I'm keeping really healthy joints," says Lund, 45. But for most who exercise, there's no need to get picky. Whole foods, usually found on the outer edges of the grocery stores, are generally better than those with long ingredient lists. "As a general rule of thumb, we encourage people to follow the kill-it, grow-it principle," Hite says. "if you can't kill it, and you can't grow it, don't eat it. You can't kill a box of Cheez-Its." Meanwhile, there's an art to timing a meal. It's no good carbo-loading with spaghetti if you're just going to puke it up all over the treadmill within an hour. Ideally, eat a balanced meal more than a hour before a workout. "If you're within that 60-minute timeframe, you want something very easily digestible, low in fat content," Hite says. Have a piece of fruit, something small for a protein, and a source of carbohydrates. As with most things with health, however, there's a lot of variation. Age, gender, weight, height, metabolism and level of activity and duration of the exercise can all come into play. "It's very individualized," Hite says, "what certain people can deal with." You just ran a three-mile race as hard as you possibly could. So why, horrified observers might ask, are you jogging two additional miles after it's over? Won't that make you more tired and more sore? Not at all. It may be counter-intuitive, but adding a slow-paced cool-down to your workout — even if means a little more exercise — is one of the most effective techniques to help the recovery. "A cool-down is something that I would advocate for," says Hans Haverkamp, a professor in the Nutrition and Exercise Physiology department of Washington State University. "One of the important parts is that it helps clear metabolic byproducts faster." Take lactic acid, for example, a particularly pesky byproduct of exercise: Haverkamp says it's a myth that lactic acid causes muscle soreness. But it does contribute to fatigue. And a cool-down increases blood flow, which helps flush that acid. "A lot of it is re-used by different muscles in the body," he adds. "The lactic acid that's generated is actually converted into a usable form of energy." It's the most basic, obvious thing: Drink lots of water. Just like your mom told you. "Refuel with fluids, and water is the most important," says Haverkamp. Drink before you work out, drink during your workout and drink after you work out. After all, when you work up a sweat, water is literally escaping through your skin. People tend to underestimate just how much. One trick to figuring out how much water you should drink: Weigh yourself before your workout then after your workout. For every ounce you've lost, drink at least an ounce of water to compensate. What about Gatorade? Powerade? Brawndo? If you sweat a lot, you are losing a lot of electrolytes — current-conducting substances that are crucial for cells to function properly. And yes, sports drinks like Gatorade have electrolytes. But, Haverkamp cautions, they also have a lot of sugar. "It's not that sugar is bad per se, but it's a lot of calories without a lot of micronutrients." You know what pairs well with fluids? Food. As soon as your workout is finished, a clock begins ticking. "Timing is important. You don't want to get behind on your fuel," Lund recommends. "Replenish your nutrients. You have a window of about 20 to 30 minutes after your workout." Think of it as the exact opposite of the don't-swim-a-half-hour-after-eating urban legend. After a good swimming workout, eat within a half-hour. "There are enzymes that are elevated by exercise that allow us to access and store fuel more efficiently," Lund says. "Those enzymes decline after a half-hour to an hour." 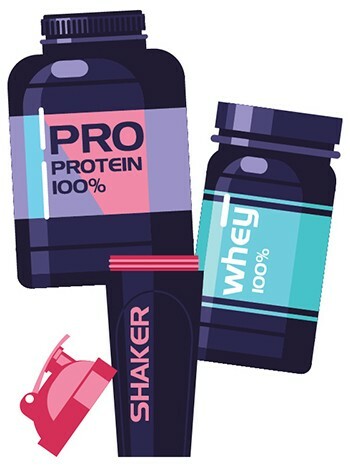 While protein shakes may be all the rage among gym rats, Harverkamp stresses that proteins aren't the most important. "Complex carbohydrates are usually the way to go. No fabricated, packaged, high-sugar content," Haverkamp says. "Something like pasta, legumes, grains. Not candy bars or prepackaged high-sugar content foods." In some ways, this may be a lot to ask. Who has time to sleep, work at a job, work out and then somehow cook a healthy meal within 30 minutes? That's where the planning comes in. 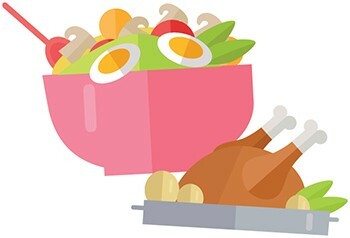 Try devoting a little time on a day off to preparing food for the days you work. "If you can prep out your first couple meals, when you get home, all you have to do is throw it in a pan," Hite says. One of Hite's family favorites is what they call "egg roll in a bowl." It's an egg roll without the wrapping. Combine some ground beef with a bunch of cabbage and other vegetables and cook them up in a wok. Bam. Dinner. And then you're refueled for the next workout. Most of the time a good diet is all you need for refueling. Your average healthy person doesn't need supplements, tonics or even Flintstone vitamins. 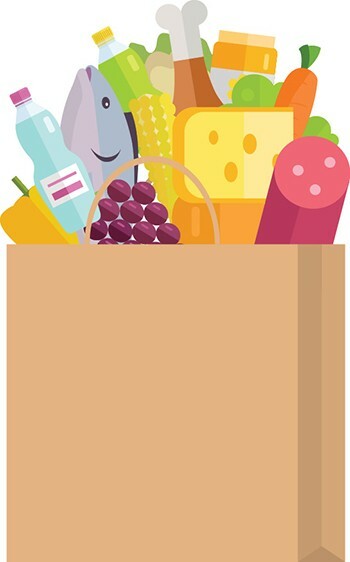 "If you speak with dieticians and nutritionists, it's often argued that we can and should get everything we need through food alone," Haverkamp say. "Supplements, in general, most of the time, for healthy people, aren't useful." But how about creatine or whey proteins? Hite is a fan of both. "For folks that are trying to add a lot of muscle mass, creatine is a well-researched product, and it works well when used correctly," he says. "[You] just want to make sure you're drinking plenty of water, too." Haverkamp isn't necessarily against either of these two substances, but he's less enthusiastic. He cautions that you can't just hammer away with one type of fuel and expect miracles. "The belief [whey protein] is going to be this super-beneficial, remarkable way to improve your recovery is highly likely to be overblown and untrue," he says. "There's data that support its use for high-power and high-strength sports," Haverkamp says. [But] there's very few people for whom it matters if they can run 1/10th of a second faster." Few arguments are as ongoing within the fitness community as stretching techniques. Hite of U-District PT isn't much of a fan of static stretching, that old gym class thing where you, for example, try to touch your toes and hold the position for 30 seconds. Both Hite and Lund are bigger supporters of using active massaging and foam rollers on muscles, with the idea that they will aid recovery by increasing blood flow. WSU's Haverkamp remains skeptical of both. "There is very little data, maybe none, that support the idea of foam rollers — even massages — in terms of recovery following exercise." Haverkamp says. Sure, he says, you can try to cherry pick from the few studies that are out there, but there just isn't preponderance of evidence available yet. But here's the thing: Even if foam rolling or massage itself does nothing at all, study after study shows that "nothing at all" can be incredibly powerful. The placebo effect — when something isn't working but you think it's working — actually matters. You know that part in Space Jam when Bugs Bunny gives the Toon Squad a special drink to boost their performance, but it turns out to just be water, and the real magic was getting them to believe themselves all along? That's a real phenomenon. A 2014 study in Science Translational Medicine found that, for example, a fake migraine drug was as much as half as effective as a real drug in reducing the headache. "I would say that's a placebo effect that's in play with a massage. It's real and it's powerful," Haverkamp says. "It's very very likely, that a massage helps people physically and psychologically." There's an art to figuring out when to exercise and when to rest. The tricky part is it can vary so much, shifting wildly for different bodies, different sports, different ages. They key is to understand that building in rest time is just as important as building in time to exercise. "The first thing is to have a plan," Lund says. "Even if it's a loose plan." Create both a long-term and a short-term schedule to prevent workouts from being transformed into burnouts. "It's nice to go in a six-week cycle: Build in intensity, focus on whatever you're focusing on, and then have a little period of recovery," Lund says. And, crucially, build variety into your week. Some days are for short, intense workouts. Others might be for longer, more slow-paced workouts. "I plan the timing of my workouts so I'm doing a variety of things, and I'm giving ample times between similar types of activity," Lund says. Adding variety isn't just about giving your most-used muscles time to relax. It's about building up your less-used muscles. Hite says he sees that a lot. You may be working on your arms, but don't skip leg day. It's easy to get injured. And, of course, don't forget one of the most important cornerstones of any exercise plan: Shuteye. 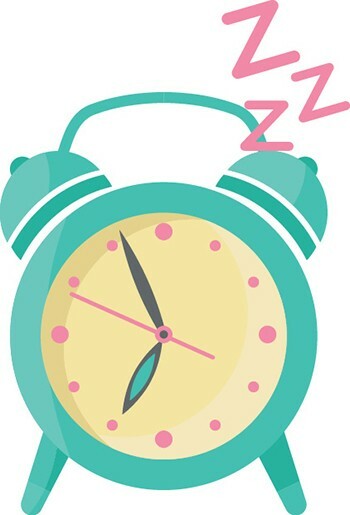 "Every single person who studies sleep argues we need at least seven hours, or probably eight or nine," Haverkamp says. Ultimately, there are a lot of dramatic claims being made about recovery techniques, involving everything from compression socks, massage techniques and cryogenic chambers. But the solid, science-tested recipe for recovery is simple, he says. "At the end of the day," Haverkamp says. "It's about rehydrating, refueling and resting." The original print version of this article was headlined "Recharging Ahead"